Chevy says the greater differentiation resulted from feedback from owners. 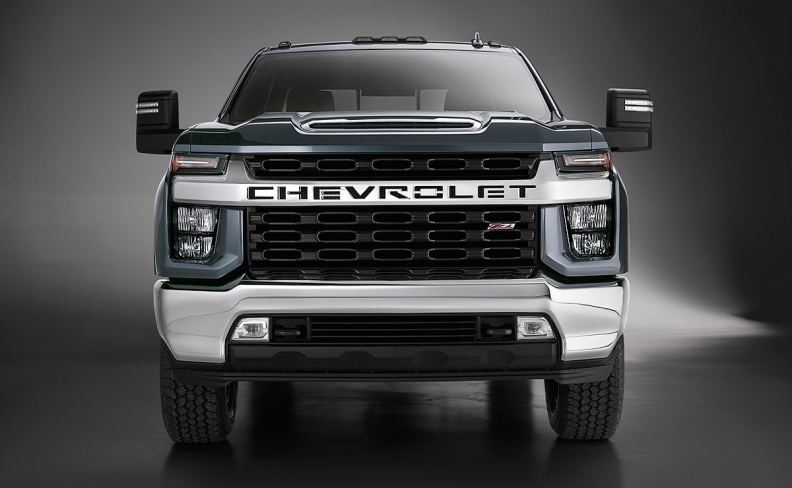 The redesigned HD pickup's grille features a flow-through "CHEVROLET" similar to some models of the Silverado 1500, but the HD's grille is much larger than the Silverado 1500's and is flanked by headlight stacks with a chrome bar separating a top light from two lower lights. It also has a large air intake above the grille and is noticeably larger than the Silverado 1500. The only exterior piece the Silverado HD shares with its smaller sibling is the roof, according to GM. Company officials said the greater differentiation resulted from feedback from owners, who said they wanted their HD models to stand out from the Silverado 1500 models. "We set out to make a statement with the 2020 Silverado HD and wanted to visually capture the power and capability of the truck," said Brian Izard, Silverado HD lead exterior designer, in a statement. "The result is a truck that looks like a piece of heavy machinery with modern, chiseled finishes and customer-focused details." The automaker released photos and some information about the Silverado HD Tuesday before its official debut in February. 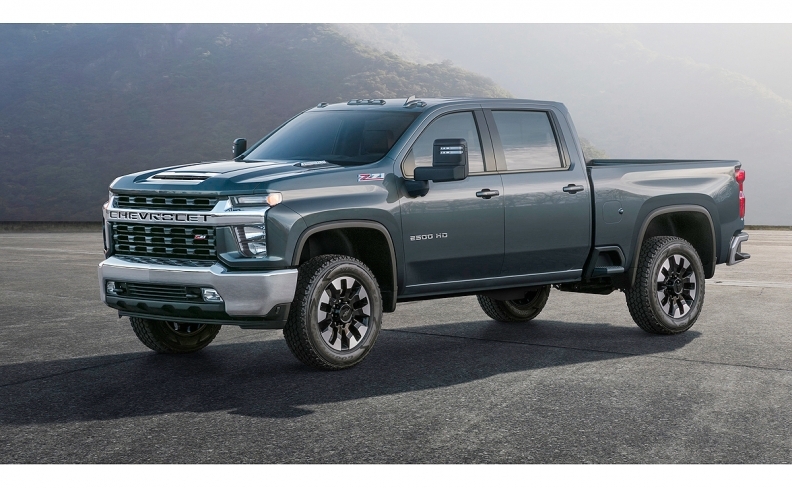 The redesigned Silverado HD will be offered with a new gasoline engine with direct injection mated to a six-speed transmission, or the Duramax turbodiesel V-8, rated at 910 pound-feet of torque, with a new Allison 10-speed transmission. The company said the Silverado HD will have "all-new customer-focused trailering technology" and "significant increases in towing and payload capabilities," but it did not release performance metrics. The 2020 Silverado HD -- produced in Flint, Mich. -- is expected to go on sale in mid-2019. It will be the third new or redesigned Silverado in the last 18 months, following the redesigned 1500 and new medium-duty.